Jewellery Designer Selina Campbell and her team, specialize in made to order bespoke jewellery from her Manchester City centre studio. We also offer many other jewellery services such as repairs, re-sizing, recycling, bespoke engagement ring and wedding ring workshops. 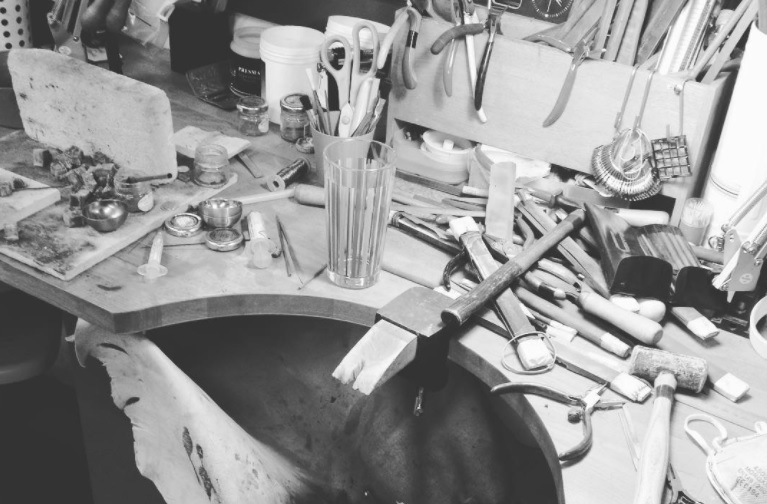 Working on a commission basis is a welcomed and valued aspect of our designer jewellery practice as we consider this approach a great way to challenge and develop our jewellery skills and ideas! Founder and owner of Selina Campbell Jewellery, she has been practicing as a Manchester Jewellery designer and Silversmith since 2007 following her graduation from Staffordshire University gaining a first class BA Honours award. Selina was granted the prestigious Goldsmith’s Precious Metal Bursary in this year and utilizing this opportunity she immediately set up studio to commence the development of her style. From this first year in business Selina’s jewellery designer career has progressed through her participation in many exhibitions and shows. Most notably these include Origin in London, The British Craft Trade Fair in Harrogate and Dazzle in Glasgow, Edinburgh and Manchester. Branching out from her Manchester Jewellery studio Selina enjoys sharing her knowledge and skills with other people and finds this extremely rewarding. In the past she has delivered jewellery workshops to school groups and the wider community. Subsequently Jewellery designer Selina teaches 'make your own wedding ring' workshops for couples who wish to experience creating their partners wedding band whilst learning basic jewellery techniques at our Manchester based studio. Charlotte first joined our team during her placement year in 2015, whilst studying Fashion design with textiles at the University of Huddersfield; she was keen to use this opportunity to take a step away from her fashion roots to spend a year discovering the world of jewellery making and the jewellery industry. Following her experience on placement at our Manchester studio, Charlotte continued to work with us on Saturdays during the course of completing her final year at University. Charlotte now combines her creative knowledge along with her skills in I.T to currently oversee all areas of marketing, from website, blog and social media to emails, data basing and monthly newsletters.